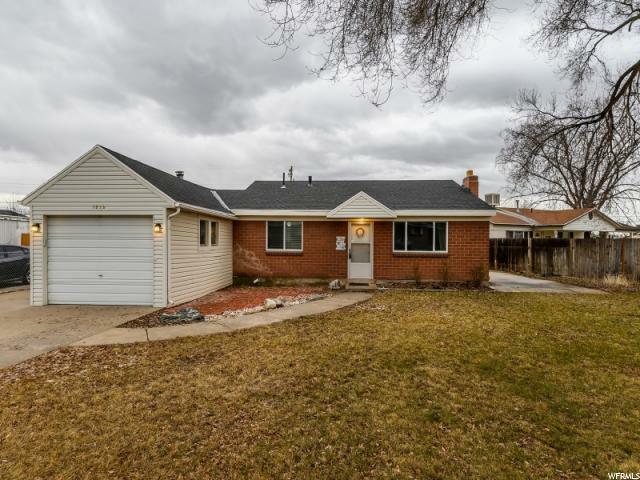 All HOLT SUB homes currently listed for sale in Layton as of 04/19/2019 are shown below. You can change the search criteria at any time by pressing the 'Change Search' button below. "FANTASTIC LOCATION on CORNER LOT next to a cul de sac in quiet, family-friendly neighborhood close to local schools and shopping! It is incredibly spacious with tons of storage, bonus/flex rooms and TASTEFUL UPDATES THROUGHOUT THE HOME! Large backyard, fenced with beautiful mature trees- perfect for kids or for entertaining guests! These owners have put a lot of TLC into the home and it shows! Bonus rooms and extra storage would also work well for a home business! This home is truly a must see. PLEASE VIEW AGENT REMARKS FOR SHOWING/OFFER INSTRUCTIONS."